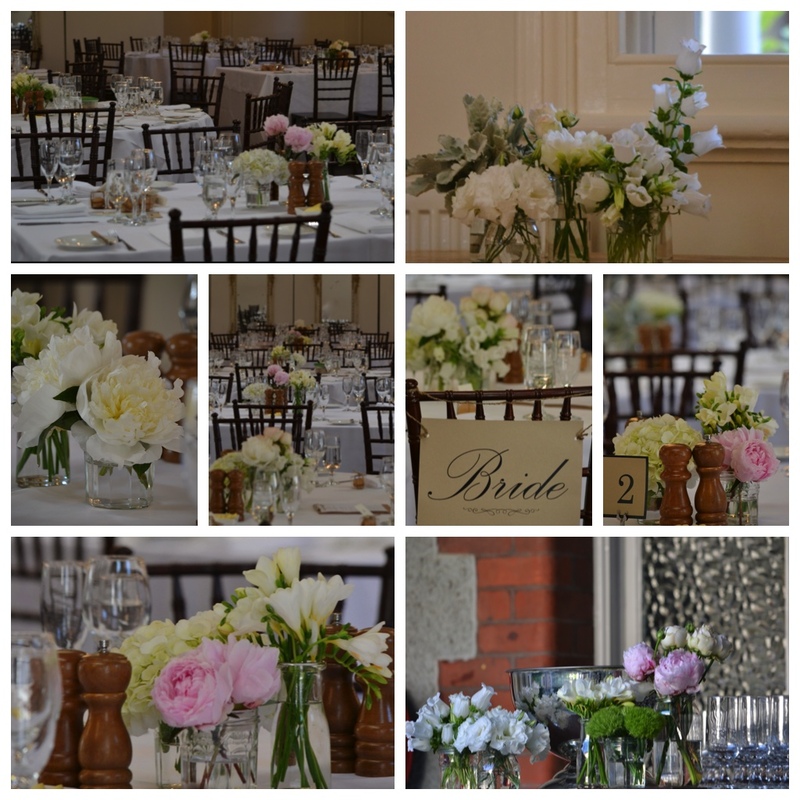 Everything about Blair and Sam’s Summer evening wedding was soft and pretty……. 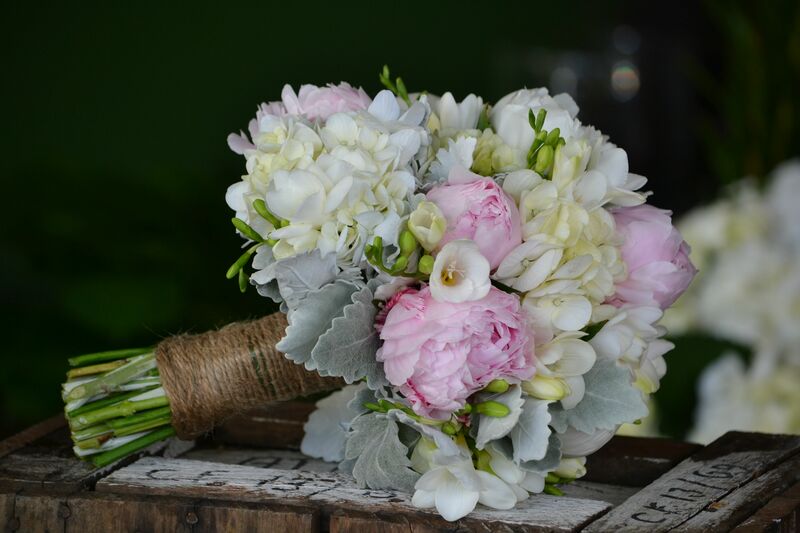 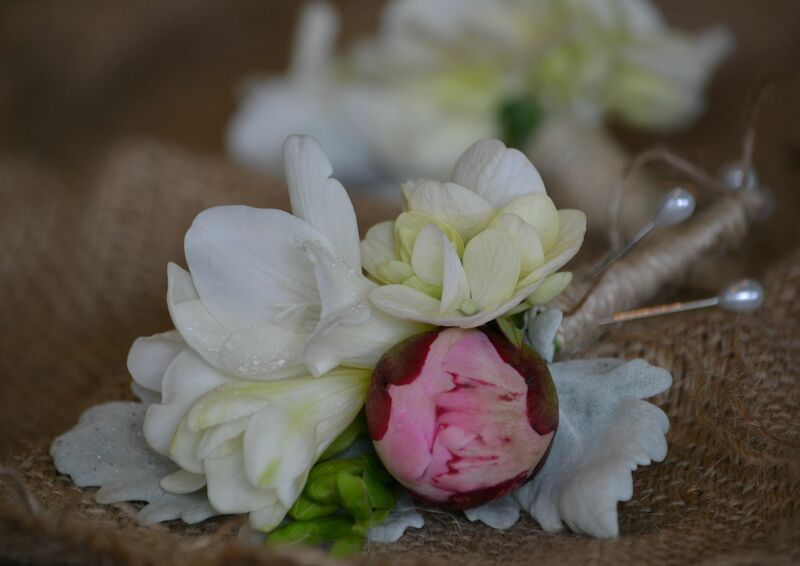 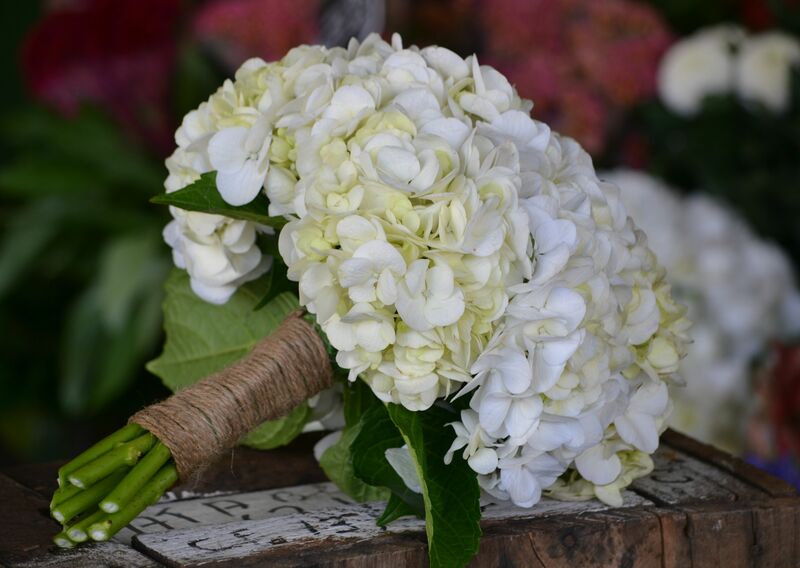 From the bride’s bouquet of peonies , freesias and hydrangea, to the simple yet luxe white hydrangea bridesmaids posies, to the boys’ buttonholes and through to the wedding Cake. 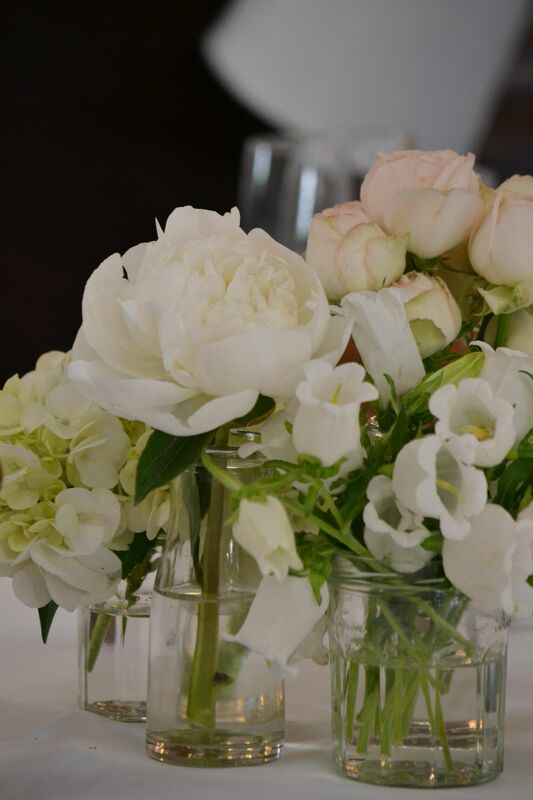 Jars of seasonal prettiness in the form of peonies, roses, freesias, lisianthus, hydrangeas and canterbury bells decorated the tables and bar of the historic hall at Abbotsford Convent. 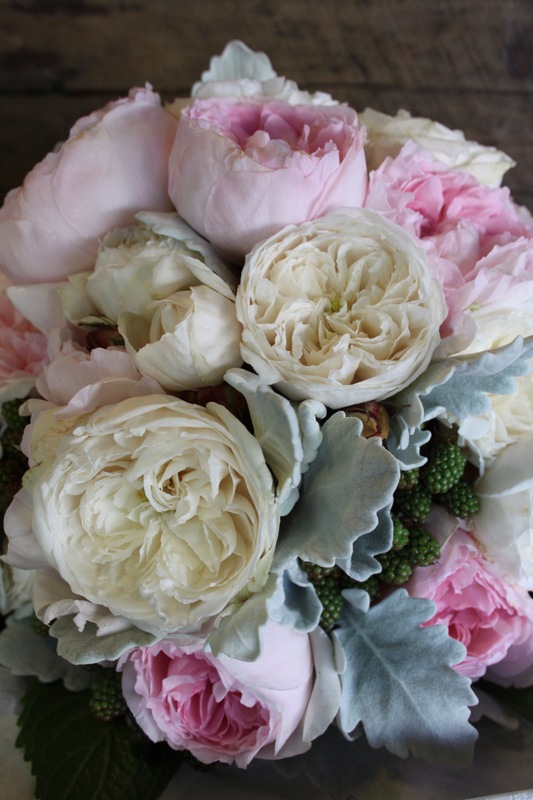 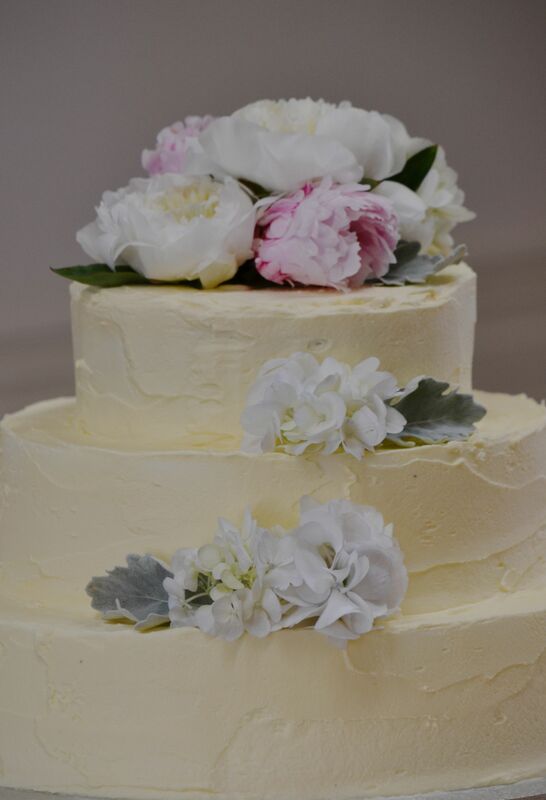 The final touch of prettiness came with the peonies, hydrangea and dusty miller that adorned the cake . 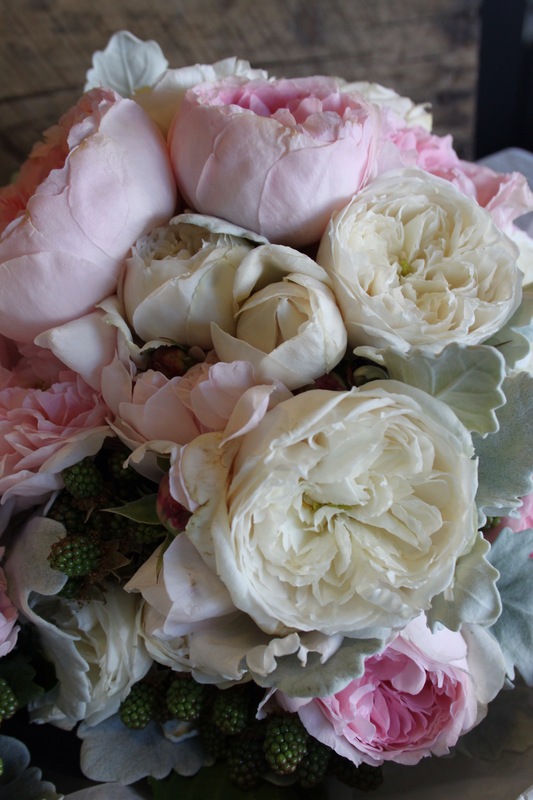 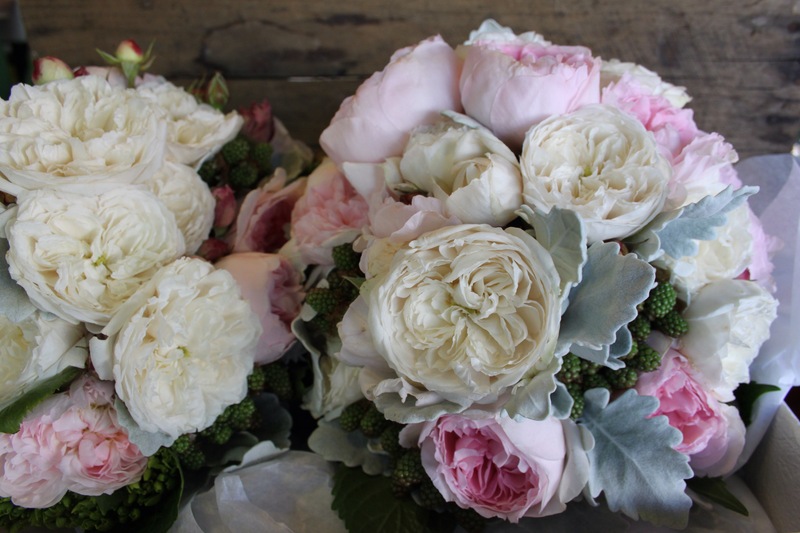 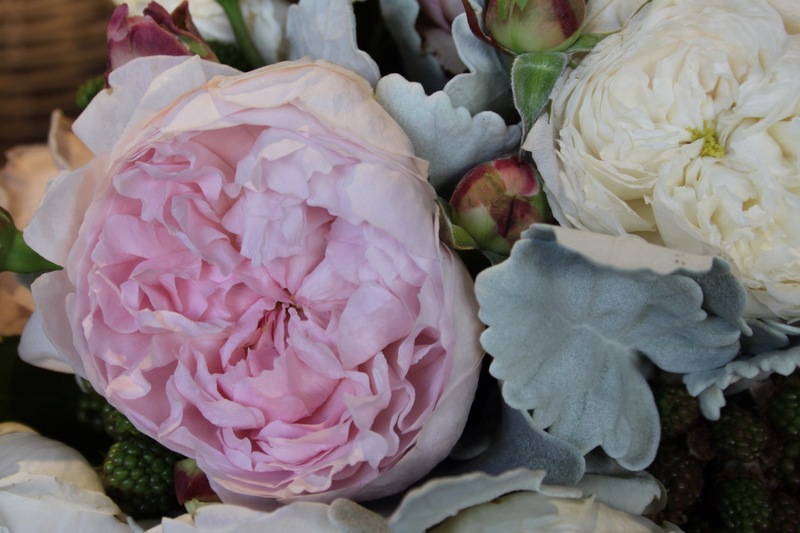 These pink and white David Austin roses are just so pretty…..
and with a touch of summer’s sweet bounty – early harvest blackberries and young green hydrangea – they make perfect summer bouquets.